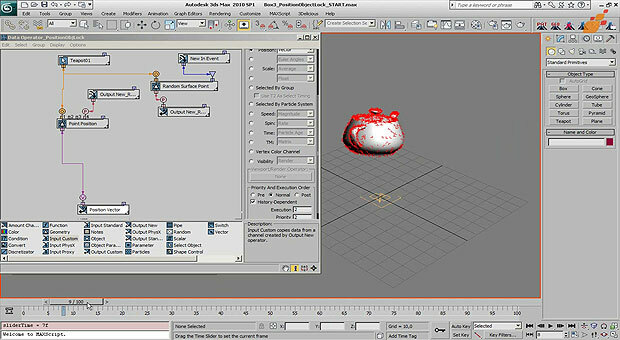 The formerly known PFlow Toolbox#3 is now integrated into 3dsmax 2014 and called “Advanced Data Manipulation”. This tutorial teaches how to recreate basic features of the Lock/Bond test in PFlow. This stripped version is much faster and faster then the old position object operator.